Welcome to this lovely Centennial home. 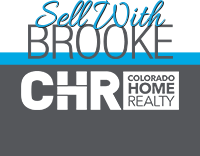 Situated on a corner lot in Cherry Creek Schools this 4 bedroom 3 bath home has plenty of room for everyone! Upon entering the home you are welcomed by an inviting living room with wood burning fireplace. The kitchen not only offers lots of counter and cabinet space, but tons of natural light! Off the kitchen there is also a formal dining room that can be used as an office, den or other flex space. A guest bedroom and powder room complete the main floor. The upper level features a cozy family room along with a master suite, 2 bedrooms and a full bath. The basement has a large finished recreation room. The living space extends outdoors with a wonderful covered deck and spacious yard perfect for entertaining! This home truly has room for the entire family!